Recently I have done quite a bit of writing. The wellknown website Textile artist has published an interview on how I work in their series of “the creative process” early December. Selvedge magazine has published in their spring issue my review of Japanese art in The Netherlands. The Poetry foundation in Chicago (USA) has published an article on my work and how it relates to poetry in their April 2016 issue. It was quite a challenge to write. Luckily Fred Sasaki (editor) provided great help. Have a look at Poetry is everywhere. Contemporary Stitch is the name of a new lavishly illustrated E book about 10 international textile artists. I am excited to be included. Interested? Have a look at textileartists.org. The Dutch magazine Textiel Plus has just published an article on my work ‘On the hoof’ in their summer 2016 issue. See image on the right side. 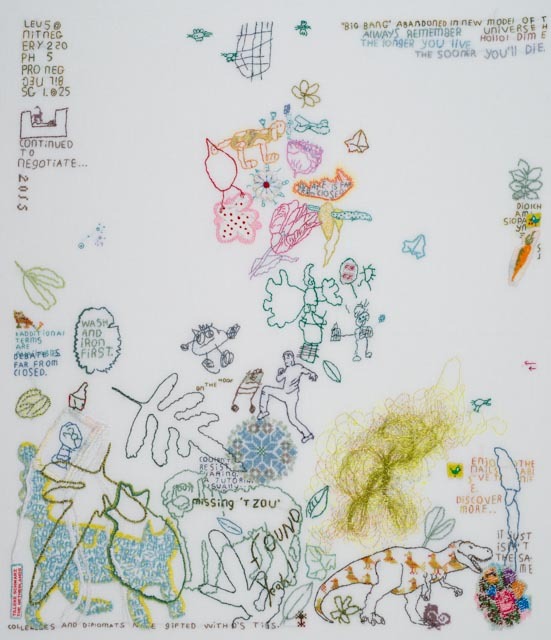 The museum in Gorinchem, Netherlands has a major show on the art and craft of embroidery from April 7th till September 9th 2018. The name is Voor de draad ermee! Heb je belangstelling om een workshop in Nederland te volgen, stuur dan even een email naar info(at) tillekeschwarz (punt) com . 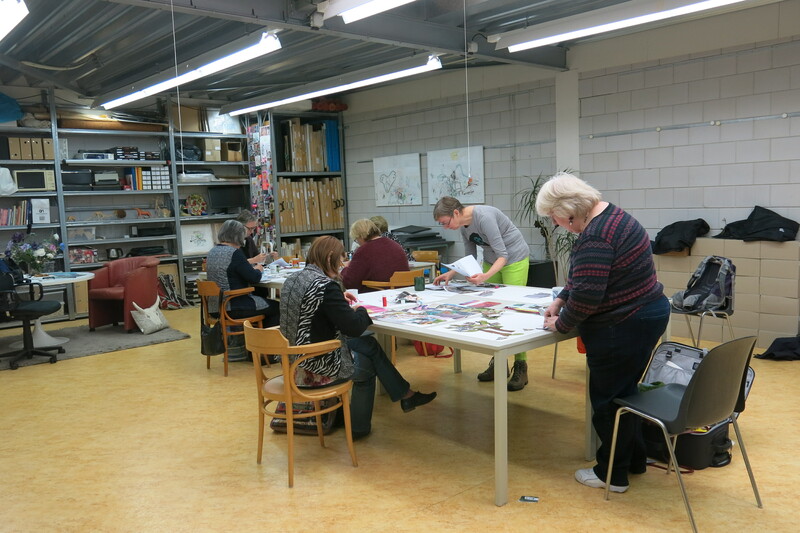 De eerstvolgende workshop is op zaterdag 29 september in mijn atelier in Pijnacker (volgeboekt). Je kunt je wel aanmelden voor de reservelijst en voor de workshop in 2019 (zaterdag 28 september). All workshops are designed for adults and college students. The program is usually adapted on demand with the organizers. The length has varied in the past from one to ten days. The focus is on design and free expression. Often it is appreciated when I demonstrate my own way of working (design and technique). When time allows we can design and stitch a miniature embroidery or prepare for the start of a new work. In 2019 there will be a workshop on May 18 and 19 in the UK for Hope and Elvis. Lectures are adapted (length, focus, audience) on demand. Most lectures focus on my work, inspiration, creative process and favorite stitching technique. 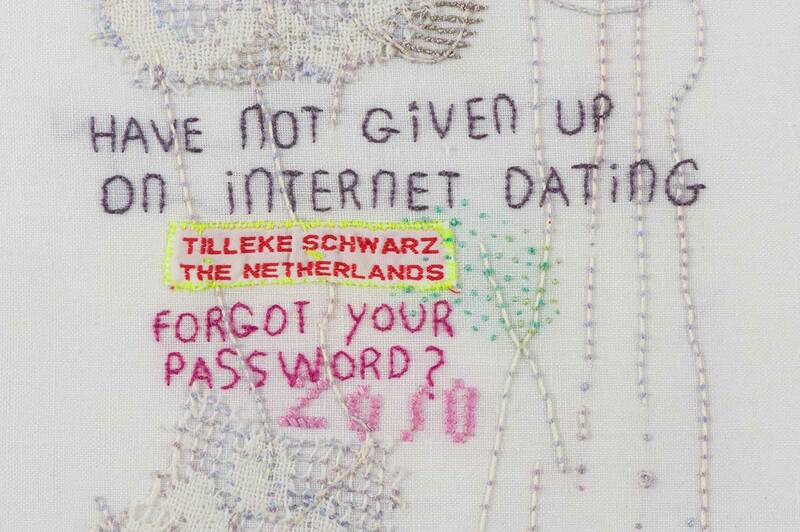 Occasionally it is appreciated when I include other (Dutch) artists who incorporate textiles in their art. Lectures are always well illustrated with a power point presentation.